Country singer-songwriter Rick Monroe possesses the ability to take life experiences that we share and create songs that speak to his listeners. Monroe connects with his audiences and leaves them wanting more whether it is in an intimate setting with his acoustic guitar or a festival with his band halfway around the world. After 2 years of working with several Producers, Musicians, and Studios in a few different States, Monroe has finished his long awaited 3rd full-length CD â€œAgainst the Grain.â€� The new single â€œI Remember the Musicâ€� written by: Ashley Gorley & Wade Kirby and produced by Clyde Brooks. Under Clydeâ€™s direction and a host of 'Nashvilleâ€™s Finest', the sound picked up where 'Shame' left off with even more of the Country, American Roots sound that Monroe has always aimed for. Rick even took the helm with guitarist Jeff Marshall to produce several of the tracks as well as working with Craig Bartock & Harlan Lansky of Matrix Music Works. 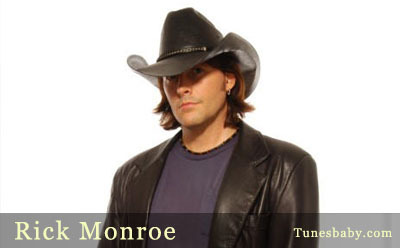 Monroe says, â€œAs an artist I have attempted all types of music and feels but I've mainly tried to get that perfect blend of Country & Rock. That's why I did my 2nd CD 'Shame' in Texas with some of the guys from the Texas Tornados. You know that down-home Heartland feels of Country with the thumping Heartbeat of Rock with a little blues and soul thrown in for good measure. This CD is the most focused I've been on getting a uniformed sound and picking the perfect group of songs. I've also taken a lot more time and have been hands on. So I can only hope as a Country fan or just a plain ole music fan you will enjoy it as much as I enjoyed making it.â€� â€œAgainst the Grainâ€� reflects years of experience and growth found only in the most seasoned of artists. With his special blend of Showmanship, Contemporary & Classic Country, a dash of Southern Roots Rock and twist of Texas Swing, Monroe and his band have been kicking up a storm on the Country-Dance Hall Scene. Monroe has an extensive touring history both domestically and internationally. He has played: Russia, Bosnia, Kosovo Macedonia, Hungry, Honduras, Ecuador, Puerto Rico, Cuba, Vietnam, Hong Kong, Bahamas, Germany and England as well as the United States. With an invitation from Pete Peterson, US Ambassador to Vietnam at the US/ Vietnam Embassy, Monroe performed at the weeklong 4th of July celebrations in Hanoi and Ho Chi Mihn City. Monroe felt honored singing the US National anthem for the 5-year anniversary that reopened diplomatic relations between the countries. No one sang it in Vietnam at a public event in 25 years. Monroe followed that up with a Command Performance for the former President of the Soviet Union Mikhail Gorbachev on the USS Sequoia Presidential Yacht, Washington, DC. This was followed by a trip to Russia where Monroe performed for the children at several orphanages and was a featured performer on REN TV's Bulat Okudzhava Festival in Moscow, Russia.